The trace amounts of carcinogens being found in these drugs don't appear to pose an immediate cancer risk, and there are plenty of other medications on the market to help keep your blood pressure under control, said Craig Beavers. He is a member of the American College of Cardiology (ACC) Cardiovascular Team Council. The recalls center around generic versions of angiotensin II receptor blocker (ARB) drugs. Losartan, valsartan and irbesartan are the ARB drugs for which specific lots have been recalled. "Medications in the ARB class are used primarily for hypertension and for heart failure, and the good news is there are a lot of other alternatives," said Beavers, an assistant professor with the University of Kentucky College of Pharmacy. Concerned patients should talk to their doctor or pharmacist about transitioning to an alternative, said Dr. Robert Carey. He is an American Heart Association (AHA) spokesman and co-lead for high blood pressure guidelines issued jointly by the AHA and ACC. 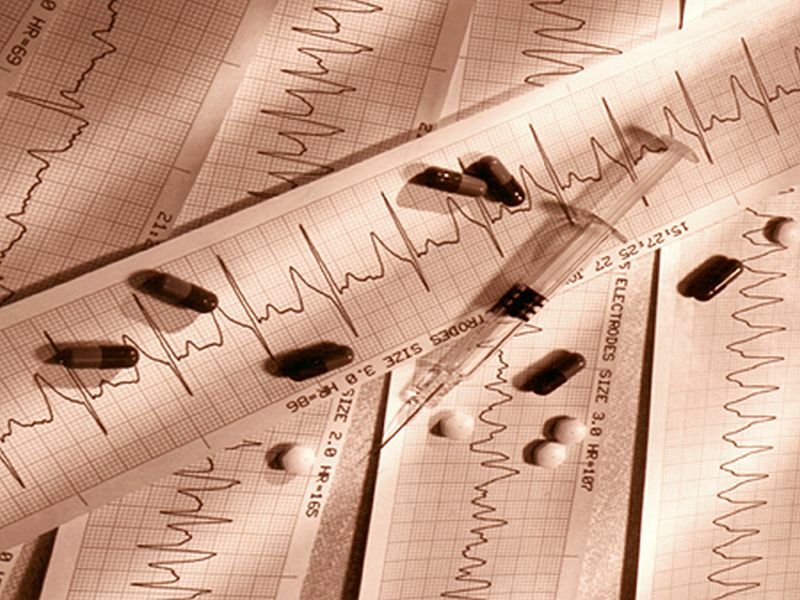 Most importantly, people should not just stop taking their blood pressure medications. "If that happens, then you may get a rebound increase in blood pressure, which could put you at risk for having a cardiovascular event. You don't want to do that," said Carey, a professor and dean emeritus of the University of Virginia School of Medicine. Since last summer, drug companies have recalled hundreds of lots of ARB drugs after testing revealed small amounts of cancer-causing chemicals in the tablets. ARB drugs lower blood pressure by relaxing the blood vessels, making it easier for your heart to pump blood. The chemical contaminants affecting generic ARBs all belong to a class known as nitrosamines. The U.S. Food and Drug Administration suspects the impurities are occurring due to specific chemicals or reactions in the manufacturing process, or from the reuse of materials such as solvents. Last week alone, two ARB drug recalls occurred. Camber Pharmaceuticals recalled 87 lots of losartan potassium tablets last Friday because they contain N-Nitroso-N-methyl-4-aminobutyric acid (NMBA), a known animal and potential human carcinogen. The lots were manufactured in India. It was the first time NMBA had been found as a contaminant in an ARB drug. Previously, two other nitrosamines, N-nitrosodimethylamine (NDMA) and N-nitrosodiethylamine (NDEA), had been found in products containing valsartan, losartan and irbesartan. AurobindoPharma USA also initiated a voluntary recall last week of 38 lots of tablets containing valsartan, after detecting NDEA in those batches, the FDA said. The recall was an expansion of an earlier recall initiated in December. Doctors say they've been getting a steady stream of questions from patients as the recall list grows. "It hasn't been an avalanche, but it's been a fair number of calls or emails to me," said Dr. Lawrence Krakoff, a cardiologist at Mount Sinai Hospital and a professor at the Icahn School of Medicine at Mount Sinai, in New York City. Pharmacies have been doing a good job tracking the recalled lots and reaching out to either patients or their doctors, Beavers said. People concerned about the ARB drug they're taking should go to a website the FDA has created to track all of the recalls, Krakoff said. They also can check with their pharmacy. You can also check on your losartan medication at the FDA's website on the drug. The FDA has also posted separate lists for recalled valsartan and irbesartan. "If it turns out that it's a safe medication, there's no risk for them at all," Krakoff said. "If it is one of the companies with a potentially contaminated drug, I would recommend they switch with another generic drug that's identical." There are plenty of generic ARBs on the market, Beavers said. If your pharmacist can find another generic identical to the one you are taking, he or she could start you on the new drug without needing to contact your doctor. If an identical generic isn't available and you can't afford to pay brand-name prices, you should talk with your doctor about switching you to another blood pressure drug, the experts said. It doesn't necessarily have to be another ARB, either, Carey said. Another class of drugs called ACE inhibitors also act to relax the blood vessels through a different mechanism. "If the patient has not had previous side effects or untoward conditions related to an ACE inhibitor, you could stop the ARB and substitute an ACE inhibitor," Carey said. "There are a whole flock of ACE inhibitors also on the market." Even if they've gotten one of the contaminated lots, people should not be overly worried about their exposure to nitrosamines through their blood pressure drugs, the experts added. Krakoff said, "I tell patients that if they've taken a few pills from a bad batch, they're likely to be completely safe." "At the current levels, they think the amount is low," Beavers said. "It's not great. You'd rather it be zero. But at the moment it's not concerning from the FDA's perspective." The Mayo Clinic has more about angiotensin II receptor blockers.